We got to go hands-on with Doinksoft's Gato Roboto ahead of its appearance at this year's PAX East - and discovered the CatMechtroidvania game has more charm than its novel premise lets on. Published by Devolver Digital and pitched as a "CatMechtroidvania", Gato Roboto is a 2D platformer with a two-tone aesthetics, old-school level design and a protagonist as cute and charming as they come. Top-level: you play as the feline survivor of a spacecraft crash and have to find a way to save the ship's pilot (AKA your owner) by exploring your way around a segmented 2D overworld, collecting new abilities and taking down both legions of regular enemies and bosses. And right from the get-go, Gato Roboto has a great tempo with it. It's really, really, really easy to pick up & play and there's plenty of flair, particularly when it comes to the writing. The color scheme here is strictly monochromatic but the clockwork animations involved channel a bouncy sort of energy nevertheless. The interface in Gato Roboto doesn't come across as busy but it's clear that no part of the screen is going to waste. A set of icons on the right side of the screen track your health. Meanwhile, the icons on the left are used to track things like your mech's temperature. It feels like developer Doinksoft are doing a lot with a little. Even in our short session, it didn't take long before we were racking up upgrades and fighting boss battles against our natural nemesis: a mouse with his own armored arsenal. Moment to moment, the difficult felt really nicely balanced in that it kept me challenged but wouldn't hesitate to punish sloppier play. There's some interesting interactions here when it comes to the puzzles. You can jump out of your cat's mech suit at any time, and doing so allows for far greater mobility. However, abandoning your armor also means becoming more vulnerable to enemies and losing the ability to fight back against them outright. Some puzzles had to solved using the suit. Others required our cat form. A couple of sequences let us tackle things in the manner of our choosing. Hopefully the final product includes more of these. If anything, I'm really intrigued to see how the UI and the level design here becomes more complex as you make your way through the game. At this stage, Gato Roboto looks like it's shaping up to be more than just a novelty but a solid Metrodivania (or perhaps a Meowtroidvania....) in its own right, not to mention a perfect fit for the Nintendo Switch. 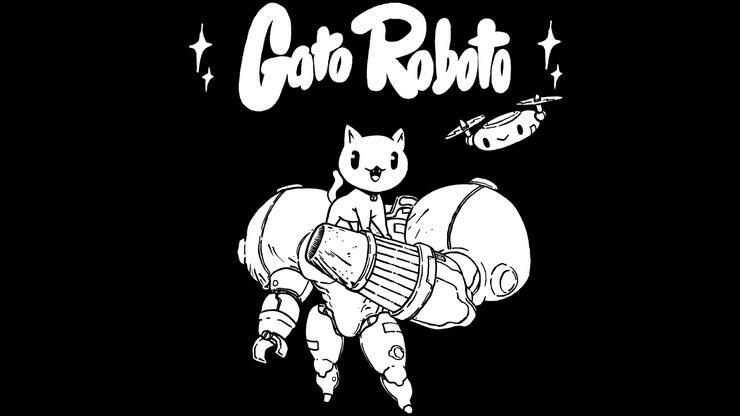 Gato Roboto is due to release on the Nintendo Switch and PC later this year.